Why is Taylor Movers the Best Kenyan Mover and Packer Company? Kenya, which is also known as the Republic of Kenya, is made up of one of the most diverse ethnic groups and tribes. The country comprises of a strong sense of national pride. We welcome you to the official website of Taylor Movers, the best Kenyan mover and packer company. We specialize in offering the complete range of both household and commercial packing and moving services. Our customized packing and moving services will fill all your shifting requirements. The primary objective of Taylor Movers is to offer the best in class professional services for home shifting/relocation, corporate shifting, office moving, staff relocation and storage services. The services are not the only factor which makes us the best Kenyan mover and packer company. The main reason for our popularity is reliability, cost-effectiveness, prompt response and all time availability for our clients. Whether you are in need of a short distance and light shifting relocation or you need a complete relocation from one state to another, being the best Kenyan mover and packer company, we have got it covered for you. Taylor Movers have got a very strong professional team which offers the highest competency required for delivering excellence for our clientele. Each and every staff of Taylor Movers is well trained and they are recruited after rigorous background checks to make sure that we have the best men to offer packing and relocation services to our clients. We have got superior equipment and packaging technology to make sure that your personal goods are not only shifted in style but they are also handled with utmost care. What Makes Us One of the Best Kenyan Mover and Packer Company? Like we mentioned before, we not only focus on offering perfect services but we also offer value-added services to our customers. We understand that shifting to a new country can be overwhelming and this is why we look to make your transition as easy and smooth as possible. We have got international consultants who have the power and the ability to manage the relocations right from the start to the end. Our customer care consultants are highly experienced to deal with any queries, requirements, and concerns about your entire process of shifting. Starting from the item tracking to offering status reports throughout the relocation, Taylor Movers will offer you update of every step of the relocation procedure. Our ability to comprehend and satisfy the exact needs of our customers makes us the best Kenyan mover and packer company. We make sure that our customers don’t have to wonder where their valuables are and when are your valuable articles going to arrive. When you are opting for the best Kenyan mover and packer company like Taylor Movers, you will know about your belongings at all times. This is yet another factor which makes us the best Kenyan movers and packers company. The training offered by Taylor Movers team proudly makes sure that all our clients’ assets are completely safe during, interstate, international and even the local relocation. We have got the experience in protecting and maintaining the condition of the furniture pieces, glassware, fine art pieces or any other high valued articles or fragile ones. Being the best Kenyan movers and packers we ensure our client’s articles are protected by high-grade packaging materials. When it comes to local or international shipping, Taylor Movers is a name you can trust. We have been an active member of this shipping and relocation industry for a long period of time. Our extensive global network makes us the number one Kenyan mover and packer company. Specialized equipment and gadgets are the most important articles of home or corporate shifting and relocation. We have already mentioned before that we have the perfect packaging materials for the short distance relocations. Being the best Kenyan mover and packer company, we also have the right equipment for long distance relocations as well. We have got technically advanced gadgets with features like climate control and generator-powered equipment for cryogenic shipments. We have got a comprehensive line of freight load trucking solutions for offering relocation in both international and domestic markets. As the top Kenyan mover and packer company, we have got a great network of both international and domestic network which allows us in managing regional and international truck shipments in and out. Another important feature that makes us the best Kenyan mover and packer company is we have got the most cost-effective truckload, less than truckload and flatbed service throughout East Africa. Once you select our relocation services, we also offer you with drayage and truck service from ports to your scheduled international destination in 180 countries and more. We have got a global network of air, ground and ocean freight services for catering to all our customer’s regional and international shipping needs. Our transportation experts will help you in planning and manage all your cargo from one dock to another one. Our international team will offer all the clients with customs brokerage and document management services to make sure that the cargo reaches the destination on-time without any delay. Another important feature which makes us the top Kenyan mover and packer company is we have got the most secure, affordable and flexible storage option. You will be able to store your valuables for weeks or months as long as you want. Even if you want to store your shifting articles for a short period of time or hourly basis, we have got provision for that too. We offer you with the best in a class storage facility and moving options in every country. If you are looking for a secure storage company while relocation, you can call us anytime. Our customer care executives are available for contact 24*7. If you are in need of urgent storage services or relocation services, we can offer both of them according to your personalized location and time. 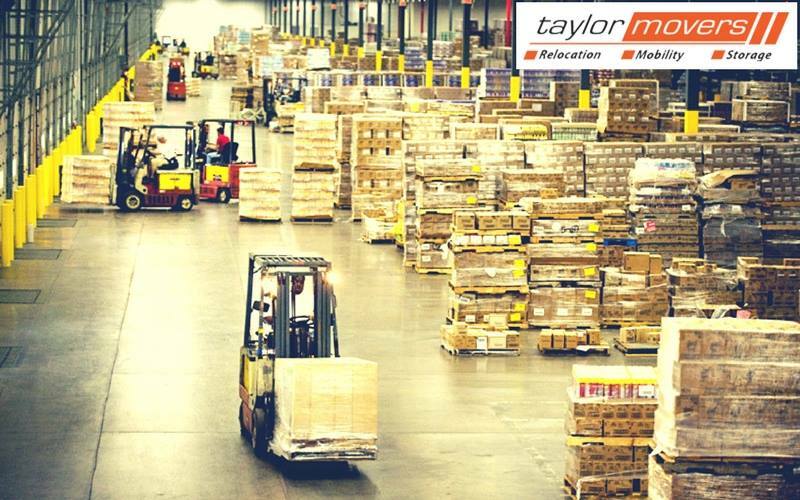 Taylor Movers have well maintained and secure warehouses through East Africa which offers both storages in service (SIT) and long-term storage. The warehouses are checked on a regular basis to make sure that they meet the high standards of safety, cleanliness, and security. A unique feature of Taylor Movers is we offer storage and moving overseas along with our international license partners. Anywhere you go with us, you can rest assured that your goods are completely safe and when you need your goods, we can deliver them immediately. We are proud to offer a complete service package to our clients. Our experienced project managers will be in touch with you throughout the complete process so that there are no disruptions in the business operations. Every client is important to us and the size of the project is not important. We thrive to fulfill all the unique needs of each and every client through our cross-border network and Furniture, Equipment and Fittings (FE&F) resources. Being the best Kenyan mover and packer company we have got a reputation for high-level project management. Our experienced professionals can oversee multiple projects and offer the best quality services. You can rest assured that the project manager and our team will deliver your valuable items within the agreed timeline and budget. Being the best Kenyan mover and packer company, we have the top-notch team of cargo experts who will help you with any queries you have. If you want to discuss in details about your logistics requirement, we are always available for you. We study the relocation necessities of every single client and offer you with the best plan for relocation and shifting. Are you looking for a quote for your relocation needs? Contact us now to get the best possible quotes which not only fit your budget but it will also save you a considerable amount of money. We are the best Kenyan mover and packer company and this is why we focus on the long-term goals of our clients to meet with their required business logistics. We have our professional supply chain management experts for designing the perfect logistic process for every client to align your business and relocation needs perfectly. It doesn’t matter whether it is one-time delivery or whether you are looking for a long time commercial shifting and relocation service, we make sure that you get the best services at the most economical price. It is imperative that you opt for the authorized Kenyan mover and packer company if you need shifting and relocation services. You might see a lot of packer and mover companies which are not certified or authentic. Being a genuinely certified Kenyan mover and packer company, it is our duty to make you aware about uncertified companies. Taylor Movers is the leading and full service moving company and we specialize a full range of commercial and household services. Our services are completely customized to fit the particular moving needs of all our clients. Once you contact Taylor Movers, we will assign our experienced professionals, moving crews and moving equipment to assure stress-free shifting for every single client. The global economic system is expanding every day and it is gradually becoming more and more interconnected with passing time. This is exactly why; international relocation has become a very common practice. A global relocation can be really beneficial for corporate giants. But this process of relocation (both local and international) is tedious and time-consuming. Herein lays the importance of experienced relocation companies in Kenya. Being one of the best movers and packers in the industry, Taylor Movers thrives to release you from any stress associated with the relocation services. In recent years, Kenya has attracted different multinational corporations, especially to the capital city Nairobi. Being an important destination for international assignees, you need to opt for professional relocation companies in Kenya. Professional movers and packers will take into consideration about the security, housing, goods shipping and also keep in mind the cultural differences. As we mentioned before, it is not really easy to relocate without taking a professional help. There are a lot of reasons why you need to contact with professional relocation services in Kenya. Detailed Surveillance: Professional relocation services in Kenya will always keep in mind about the intricate details about the needs of the customers and take every possible measure for your relocation. The company will offer you details about the route map, the estimated time frame and budget, the security of the valuables (however small it may be) belonging to the customers, unpacking the valuables once it reaches your desired location and other value-added services. Every company will not offer you all these facilities and other value-added services. 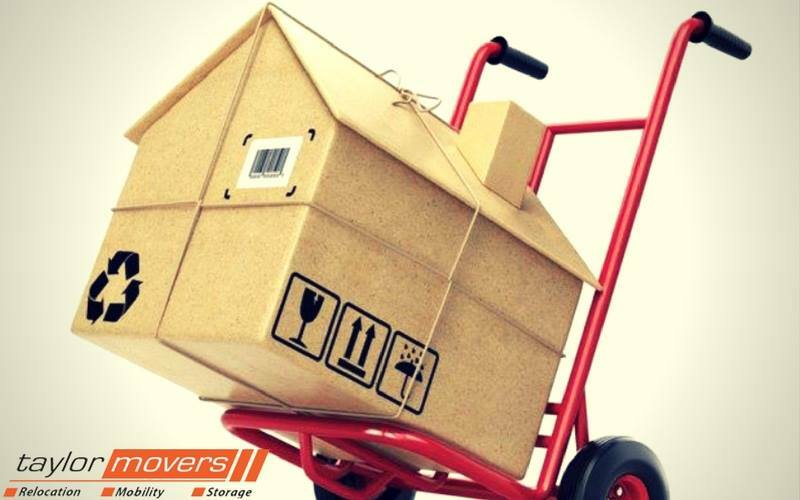 But Taylor Movers is one of the best relocation companies in Kenya offering the most compelling services. Experienced Professionals: This is another important feature of the professional relocation companies in Kenya. If you opt for a professional service, you get the most experienced, trained and skilled personnel for loading and unloading all your essentials with utmost care. The trained workers of professional relocation companies will have all the necessary equipment, gadgets, and transportation facilities to carry and deliver all your valuables to the new location. Apart from this, the renowned relocation companies in Kenya also conduct a background check for all the mover and packer employees they recruit in their team. Available 24×7: When you are contacting with relocation companies in Kenya, you would definitely want someone to coordinate with you about the transportation process during shifting. This is exactly what a professional packers and movers company will do. The customer care executives from professional relocation companies in Kenya will always be in touch with you about the delivery details whenever you contact them. Affordability and Transparency: This is yet another important feature of professional relocation companies in Kenya. A well-established movers and packers organization believes in customer loyalty, hence they offer a very reasonable and affordable price for all their customers. They are transparent about the charges and tax inclusions. You can easily check their real-time reviews to get a thorough understanding of how they served their previous customers. You can rest assured that there are no hidden charges or clauses. So these are the reasons why it is important to opt for professional relocation companies in Kenya. Now, let us have a look at the challenges faced by relocation companies in Kenya. Road Safety and Security: Road safety and security of relocation is the primary challenge faced by relocation companies in Kenya, especially for the international shipping. Burglary and terrorist activities are the primary concern of the relocation companies. Being a right-side driving country, it can be challenging for inexperienced drivers too. Apart from road safety, criminal attacks, and terrorist activities, there is also the risk of poor road conditions. Shifting to Areas with Limited Infrastructure: Be it local or international shifting, the modes of communication or transportation in Kenya is not always smooth. The reason is the lack of proper infrastructure and poor transportation management. In Kenya, it takes three to four weeks to for air shipments to reach and the sea shipments might take up to three months. Depending on the cargo’s origin, this is a major challenge faced by the relocation companies in Kenya. The assignees have to make sure that the travel time, relocation start dates and the routes are formed well in advance. The goods will be cleared only when the immigration department of Kenya has issued a clearance. The procedure might apparently look like just a few steps, but considering the huge number of shipments arriving every day for clearance, it will take quite a long time. On-road Driving: This is another challenge faced by the relocation companies in Kenya. The bigger vehicles and cargos are the ones worth driving in Kenya. The professional relocation companies in Kenya have to opt for only the bigger cargos and shifting vehicles while relocation. There are two reasons for it. One is, the bigger car they use, the better are the chances of keeping your valuables safe. As we mentioned before, the roads in Kenya are neither smooth enough and nor well constructed to drive luxurious or small cars. The second reason is relocation companies have to consider bulletproof cargos and cars to prevent your valuables from any potential terrorist activities or burglary threats. Getting such kind of cars for relocation is expensive for the relocation companies in Kenya. Cost of Relocation: Considering all the above-mentioned challenges, it is true that the relocation companies in Kenya have to plan and arrange a lot. This is what makes relocation in Kenya expensive. We cannot really blame the movers and packers for this. The relocation companies have to arrange bigger bulletproof cargos and cars, follow up with clients and customs department regarding the clearance, plan safe routes and schedule the relocation timeframes. All these are tedious and time-consuming jobs. The companies also need manpower for packing and unpacking the goods. Thus, the overall process of relocation is bound to be expensive. Under such circumstances, not all the companies can offer affordable rates to their customers. Taylor Movers has got the sturdy cargos, manpower, and gadgets for loading and unloading the valuables of their clients. And this is exactly the reason why they are able to offer the most affordable rates to their customers. Household Relocation Challenge: Housing relocation is a major challenge in Kenya. There are a lot of underdeveloped areas in Kenya where the housing standards are not suitable and the choices are also limited. In the developed areas, there are opportunities of efficient household relocation but the pricing in such areas is exorbitant. Apart from making a satisfactory living arrangement, the relocation organization also needs to comply with the laws and regulations which can impede the business growth sometimes. Cyber Security Issues: Every month, more than 3000 cyber crimes are reported in Kenya. Since the relocation companies in Kenya have a database of clients with their complete personal profile, it is important for the movers and packers to keep the identities of their clients safe and secured. In a surge of cybercrimes taking place throughout Kenya, it is a major challenge for the packers and movers companies to protect their clients from potential cyber theft. Now that we are wary of the potential challenges faced by the relocation companies in Kenya, here are a few preventive measures they adopt to deal with the unforeseen circumstances. Gathering All Relevant Information: A global relocation company needs to gather all necessary (and possible) information and documents needed for an easy move. A professional packer and mover organization like Taylor Movers handles everything and this is why they focus on training and adapting to the unfamiliar environment. This is an effective process and allows productive acclimation in the new workplace. Business Expansion: A lot of professional relocation companies in Kenya relocate a part of their operations in other countries for business expansion, cost reduction and developing new clients. This helps the organization to reduce costs and oversee international relocation business without interruption. This is a very practical method adopted by relocation companies to run the business effectively both at home and at other locations as well. Liaising with the Customs Department: Having a good network is a sign of a well-established professional relocation company. We already mentioned earlier that clearing customs and immigration department is a tedious job for the relocation companies. 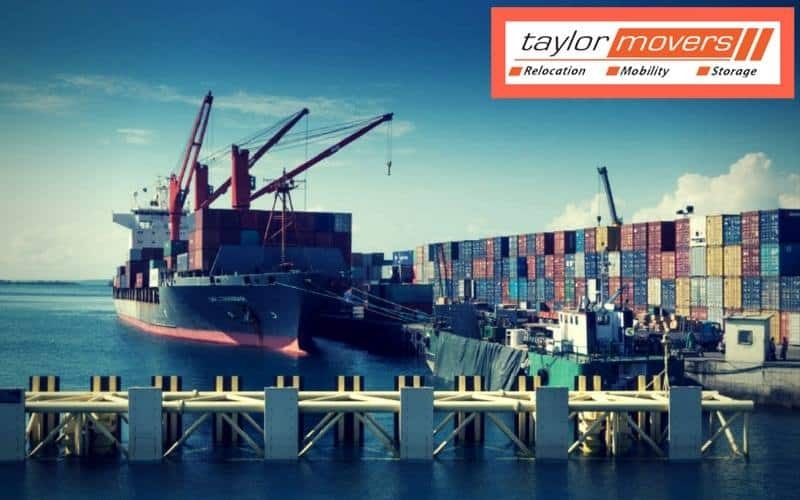 Professional shifting companies like Taylor Movers have relationship managers who are well-connected and coordinate with customs department to smoothen the process of relocation. Hiring Experienced Cyber Security Professionals: By hiring cyber security experts, the relocation companies in Kenya can prevent cyber crimes against their clients. You can rest assured with your complete personal profile if you opt for Taylor Movers because they have got the most renowned cyber security experts to prevent their client database from any cyber crimes. Whether it is a local or international relocation, it is a complicated process which involves a lot of hard work, training and experienced on-field experts with vehicles. If you are looking for the right professional relocation company contact Taylor Movers now. You can rest assured that the complete shifting process will be snag free and save a lot of money, effort, and stress. It is not really an easy task to move your home or business to a new or separate location and this is why it is essential to opt for a professional movers and packers company. It needs a lot of planning to make the process successful and it is not possible for a single person to handle everything on his/her own. Apart from the stress to handle all the factors while packing and shifting, the safety of all the valuable articles is another important reason why you should opt for professional movers and packers in Kenya. Now, the first thing that comes to our mind is, how, being a small country, Kenya is a potential place for well-established packers and movers like Taylor Movers. Yes, it is. The reason is, firstly, Kenya is one of the easiest places to pack, move/shift from one place to another. And the second reason is the packers and movers in Kenya are easily available at affordable price. Thus, the common people in Kenya don’t want to take up the hassle of packing and moving on their own. Here are the following factors why you need to opt for the professional movers and packers in Kenya. Attention to Details: This is one of the most important factors when it comes to movers and packers in Kenya. A professional packing company will focus its attention on details. They will take care of every step of your relocation. Firstly, they will offer safe and secured packing services, then they will offer you the complete details of the route they are going to take for the relocation and finally, they will also help you with the unpacking of your valuables. Not all the companies will offer help and support in unpacking but the renowned companies like Taylor Movers will help you even in unpacking. Professional movers and packers in Kenya will ensure that each of your valuable articles is relocated to the destination in perfect condition. Trained Personnel: This is another important factor why you should only hire professional movers and packers in Kenya. They offer professionally trained experts who have the necessary skills and instruments to load and unload all your valuable articles without a single scratch. Moreover, renowned companies offer a background check for all their trained packer and mover persons. So you can rest assured about the security of your valuables. Storage Facilities: The professional movers and packers in Kenya will offer you with both long term and short term storage facilities. If the final destination of your relocation is not determined yet then getting a storage facility is a really great option. You can store your valuables for a certain period. The expert movers and packers in Kenya have large storage facilities and they are located for easy access to the central business districts and other parts of Nairobi too. Cost and Ease of Access: Another important factor of the professional movers and packers in Kenya is they will not charge you will a huge amount. They offer reasonable and fixed price which is affordable for the common people. You will be able to check the reviews for any professional movers and packers in Kenya. They are open and clear about their terms and conditions. There are no “hidden expenses” or clauses which might get you into trouble or increase the final amount of money. The company will make a budget considering all the relocation expenses and the payable amount will not exceed the estimated budget. Ease of access is also very important. When you get a storage facility, you should be able to access your valuables at any time. A professional mover and packer company will offer you 24 hours access. Now that we know about the importance of the professional movers and packers in Kenya, we will now shed some light on the reasons why you should opt for professional movers and packers in Kenya. Experience: This is a vital reason why you should opt for the professional movers and packers in Kenya. Any professional shifting and relocation company will train their employees appropriately. They will take care of all your small and large valuable articles while relocation. After shifting, they will carry all your stuff inside the new location and arrange them exactly according to your preference. The entire process of shifting and relocation by a professional company will be short, simple and fast. The reason is, professional shifting and relocation companies like Taylor Movers are in this profession for a long time and they know exactly what they are doing. 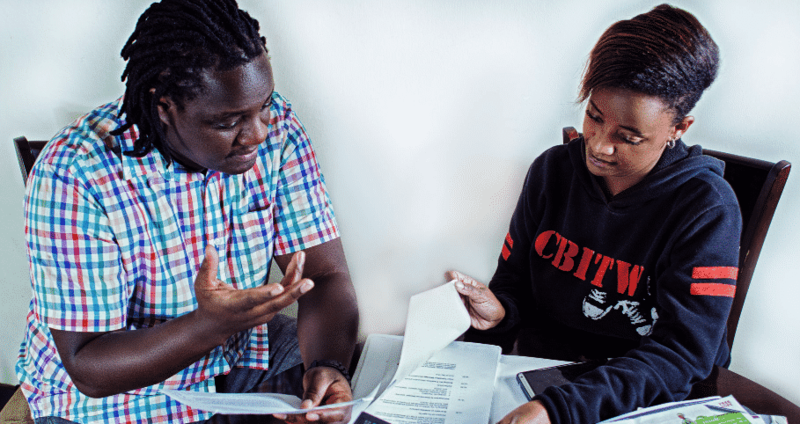 Apart from the professional training, they have also attained the clever tricks through years of hard work which will lead to automated problem-solving abilities. Speed and Efficiency: The professional movers and packers in Kenya are highly efficient in performing their shifting and relocation work in time for each of their clients. They have the manpower, the tools and the luggage carriers necessary for completing the packing and moving process in time. Finishing only the work on time doesn’t necessarily make them an efficient company. There are value-added services which include various types of services including, household, corporate and office packing and relocation, helping in unpacking and excellent mobile storage facilities, ease of payments and refunds in case of cancellation and all time availability. Reliability: When you contact professional movers and packers in Kenya, there is a binding contract between you and the company. With a professional movers and packers company in Kenya, you can trust them that your job will be done safely and every article will be intact. The professional movers and packers in Kenya are certified for the job and they also have insurance policies to cover up for any damages and accidents on the way. You will not get these facilities for any rogue or unprofessional companies. A reliable and professional mover and packer company in Kenya will offer you peace of mind. Safety: This is yet another important reason why you should opt for Professional movers and packers in Kenya. The professional movers and packers in Kenya come with proper safety equipment and they are accustomed to various safety techniques. Apart from that, the professional companies are certified to meet the necessary safety standards and regulations while packing and relocation. Relocation services include shifting of heavy articles starting from furniture, kitchen appliances, and electronic goods. They have the proper equipment like dollies for the kitchen appliances and heavy furniture, hand trucks for the packed boxes, the furniture pads for large furniture, bubble wraps, moving boxes, packing tapes, moving tapes, labeling markers and a lot more. Even if you are hiring professional movers and packers in Kenya, still relocation can be stressful, especially if the company is a new one and this is your first-time relocation. There are a lot of cases of fraudulent movers and packers where valuable articles from people were stolen. A lot of times people have bad experiences with the crew of certain packers and movers who would come drunk or show up late. Sometimes the companies act polite till you sign the agreement and after that, they don’t pick up your calls. This is why you need to do the following things before hiring any movers and packers in Kenya. Background Check: This is very important if you want to get a good reliable packers and movers company. Remember that you are going to let the whole crew of movers and packers Company in your home and they will handle all of your valuable possessions. So, it is very important that you do a thorough background check to know which company you are dealing with. Make sure that you are not dealing with a company which has no criminal records, misdemeanors or felonies. You can also visit the premises of the company to check out the state of trucks or vans they are using. The condition of trucks is a major indicator of how well the company is doing. Deal with such company only which has clean trucks in good condition. Check out the company website, their customer reviews. Enquire About the Recovery of Claims: Like we have mentioned before that professional movers and packers in Kenya will offer you with insurance so that you can recover the damages. This is what you have to ensure. It is the difference between a reliable moving company and a fraudulent one. Learn clearly about the process of claims and recovery. You need to inquire whether the moving company has its very own system of processing claims or they are using other outsourcing companies for the claims of the parties. You have to find out whether you need to contact the insurance provider. All professional movers and packers in Kenya have an internal quality control department which will assist you with the insurance claims. You have to find the affordable ones but at the same time, be careful about the cheap movers. Remember that you trust almost all your belongings to movers and packer during relocation and this is why you have to find a company which is trustworthy. A legitimate company will offer affordable rates along with reliability. We all know how stressful moving is; it is a very huge undertaking especially when one is moving within Nairobi or moving somewhere else in our out of Kenya. Most people always dread the process of moving no matter how good or better the new location is for them, packing your life up and moving to a new place is hard enough but having to deal with packing, lifting, unloading and unpacking a house or even a business is even worse and people don’t look forward to it. We at Taylor Movers Kenya are here to take the stress out of you, whether you don’t have time or in need to eliminate any stress, hiring professional movers and the right company will make a huge difference. Moving day is one of the most hectic days, the thought of it makes one wish there was any easier way to get it done. Moving does not only involve moving from one location to the next, but you also have to handle other things like clearing with the caretaker, dealing with management prior, during and after the move off course including taking care of the kids. Have no fear, Taylor Movers Kenya is here to help, by choosing us you free the mental space involved in the details of the move, focus on all the other aspects of relocating and literally leave the heavy lifting to US!. The most common thing people forget is about their own health and often they get surprised how easy it is to get injuries during a move. Without professional training and experience, one will not know how to properly handle packing and moving items wither delicate, heavy or dangerous. That’s why we have a Mover Education Program to ensure that our movers know how to handle the oddly shaped, sharp, fragile pieces of furniture. Furthermore our movers are used to carrying and handling such items, ensuring we will deliver the best practices for packing and moving your items. Taylor Movers Kenya will have the tools and all the wrapping materials needed for large furniture and for all your valuable items. Heavy furniture can take another level of stress when you don’t have the required tools to dismantle each piece. Our moving teams are professionally trained carpenters, electricians and plumbers to ensure all items are handled well. Moving large delicate items like pool tables, piano that require extra special wrapping to make sure the structure of equipment is maintained. Do you trust yourself to move your valuables? Are all your expensive furniture insured? If your answers are “NO” then you need to call movers. Taylor Movers has experienced professionals who have the ability to move your belongings. We have you COVERED!! No matter how fragile you items are, we have the necessary insurance cover. This will make you actually save money in the long run. In conclusion, without professional movers, one may end up with broken, lost items or unexpected moving expenses. Professional movers will have an estimated quote with no other hidden charges for equipment you did not know you needed or an underestimate. From these excellent reasons, hire Taylor Movers Kenya, if you want to take stress out of your move. It’s difficult to decide what moving company you can trust with your valuable possessions – we get that. Regardless of what company you choose, we want to provide you with a full list of questions to ask when shopping around.